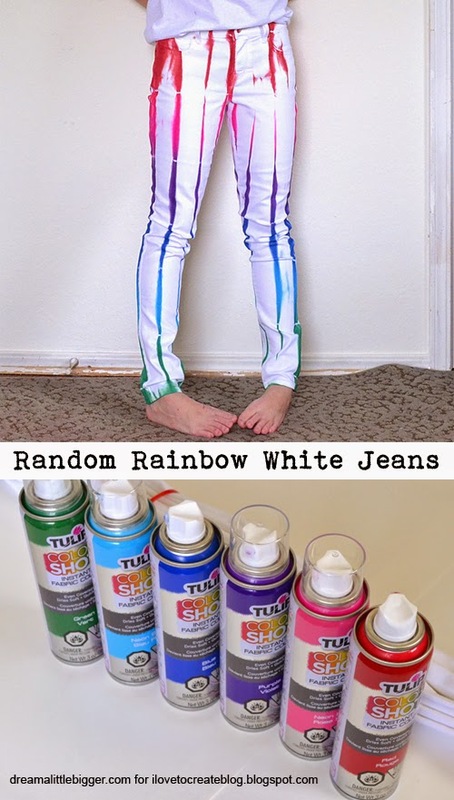 iLoveToCreate Blog: Random Rainbow White Jeans with Color Shot! 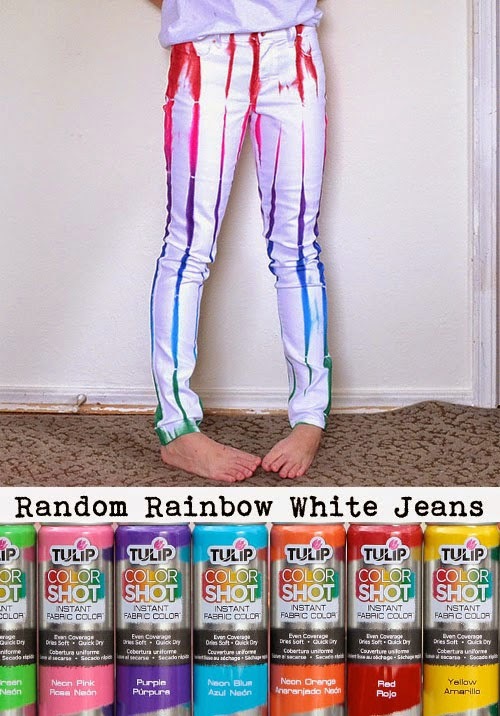 Random Rainbow White Jeans with Color Shot! 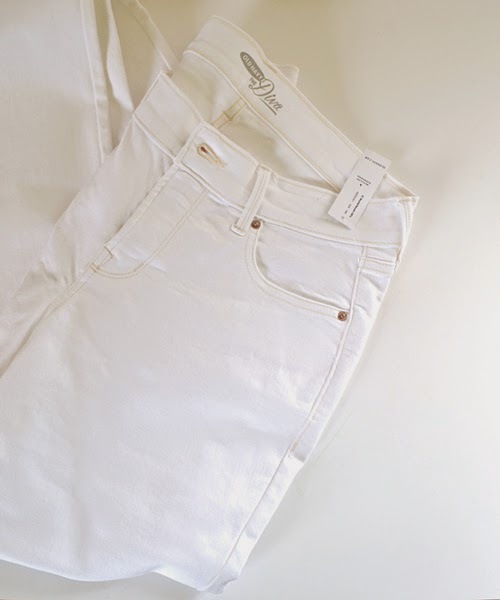 Maybe it's because I was a kid in the 80's but I absolutely love white denim. You'd think I'd love acid wash jeans but I don't. Just no. I ordered a pair of white skinny jeans off of the internet and I wasn't quite as happy with them as I had thought I would be. 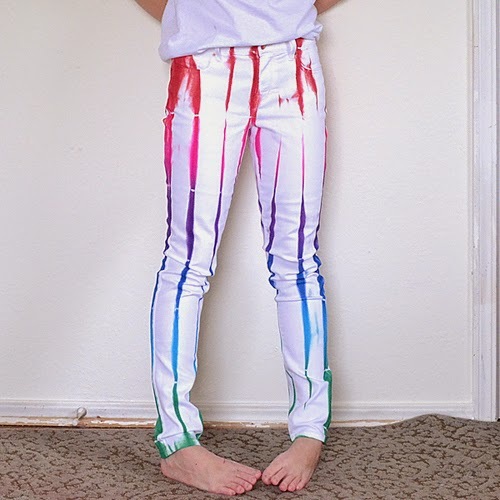 Rather than return them I thought I'd DIY them and now I've got a pair of random rainbow white jeans that are pretty fab and totally one of a kind! 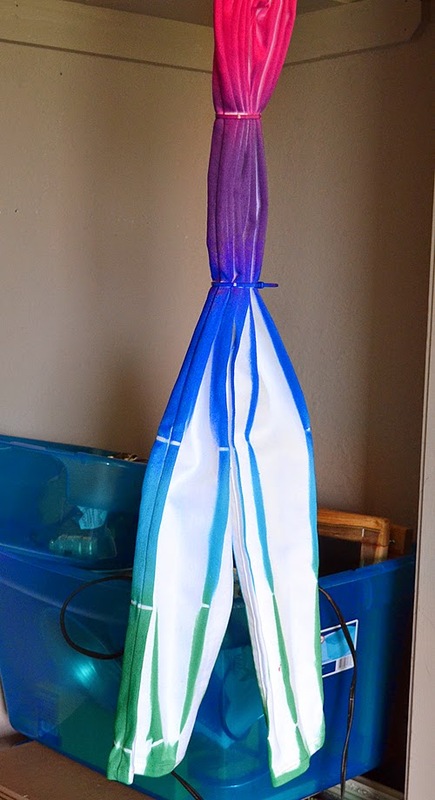 This project is so simple and so much fun and uses Tulip Color Shot. This stuff is amazing and one of my newest craft obsessions. I'm going to be painting up everything. Just you wait and see! 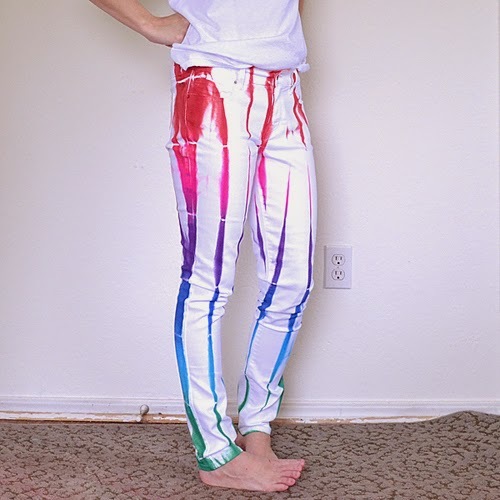 But let's start with these fabulous technicolor trousers. Here are my jeans. They're white which is what I wanted but I'm just not digging the look of them. Can't even put my finger on it because they're white and they're jeans so I should be happy but I'm not. So I figured why not turn them into something slightly different? Lay your jeans out flat and about even with just above the crotch start pleating the fabric together. It's really simple, just pinch a bit and add it to a bit more pinched and you're set. If that makes no sense, and it's quite possible that it won't just do what you see in the pic above! 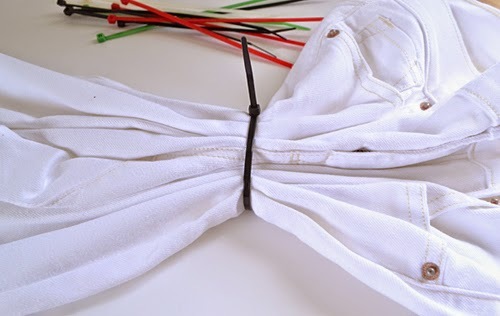 When you get all of the way across use a zip tie to bind the pleated denim together. Don't pull the tie as tight as you can. It can be loose but just be sure that it holds the pleats in place. 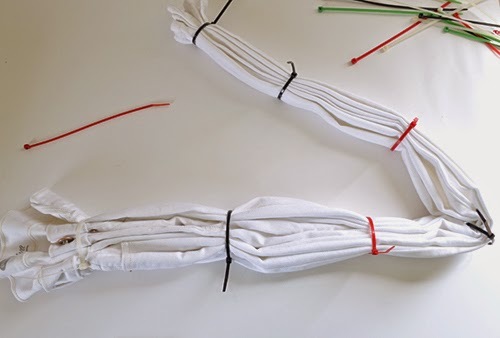 Move down to the legs and continue pleating the fabric. 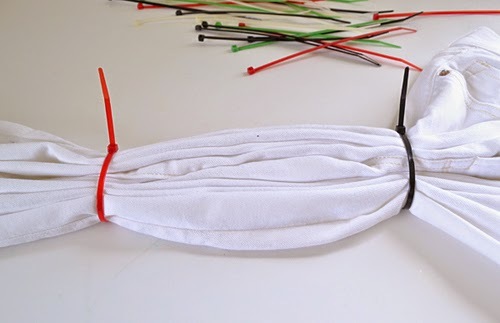 You can actually very easily follow the pleats that you've already made. And it doesn't need to be perfectly matchy matchy so no worries if it's a bit different. All of the colorful ties were $1.55 for a huge set from Family Dollar. For around the button and waist of the jeans I had to use a larger zip tie I found in the garage. I could probably have made the smaller one work but I wasn't patient enough to try more than once! I decided to use 6 colors of Color Shot so I divided my jeans up 6 times. Now this is the fun part! Place your jeans on a surface you don't mind messing up. I used old poster board pieces. Be sure to cover up anything nearby. I should have used newspaper a good perimeter around the poster board but I didn't. And my floor and rug is now rainbow in places, too! Whoops! 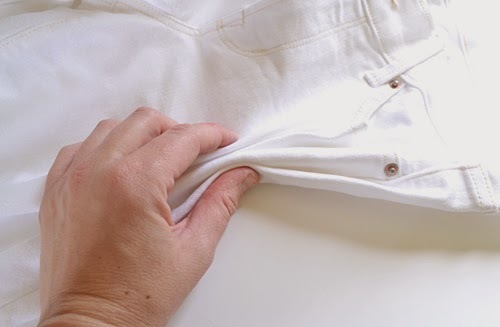 Allow to dry for a good 30 minutes to an hour and then flip and repeat for the backside of the jeans. Because I could foresee kitty paws in a a rainbow of colors on my furniture, I picked the jeans up and hung them from hook in the ceiling off of one of the ties. After completely dry and while still hanging, I carefully snipped the ties and pulled the denim apart as I went up to the waist of the jeans. And there we have that! I love how it's a little bit random but kind of uniform at the same time. 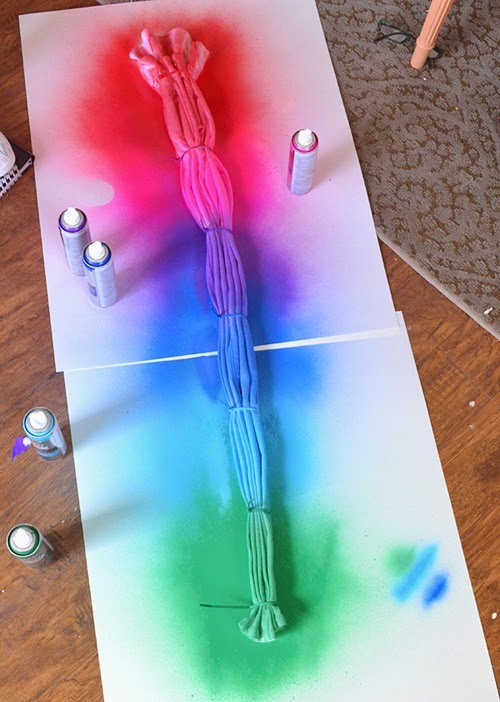 See how the lines to seem to be one long strip in many colors? I think that is totally nifty. You can see where the zip ties were in places but I think it only adds to the look. In fact if you asked people they would probably figure it was an intended part of the design! What do you think? 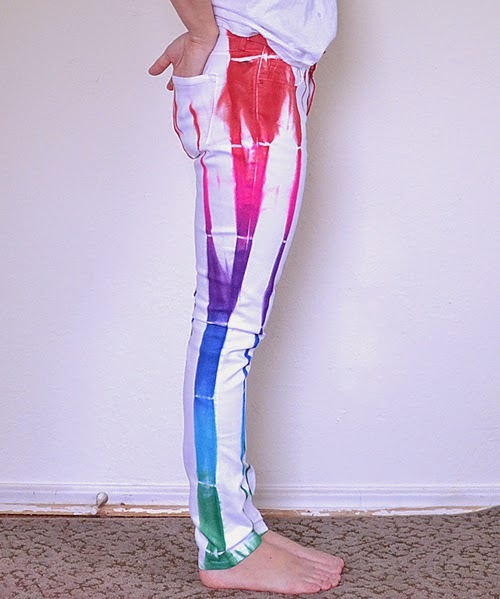 Would you rock my technicolor and totally groovy rainbow and white denim jeans? If you like this post, please come and say hi on my blog Dream a Little Bigger! I love these Allison!!! I want to make my own pair asap! 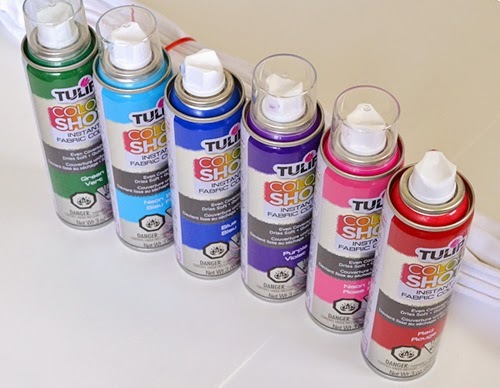 Also fabric spray paint is just calling my name! These so cute ,try white sweat shirt see what it looks' like...If look's good as pant's may try some ,color's are so pretty Thank's.. These are amazing! I'm so glad there was a tutorial on it too! This is definitely going on my list of "to-do" projects. So cute! I am wondering if they go in the wash okay? Is it permanent? Do the colors bleed? I like the verticality of this... might even make my 5'1" frame look longer!!! what if i dont have the spray paint? would there be any way to use paint? Yes I don't have spray paint either what other kinds of paint would work? Any ideas?